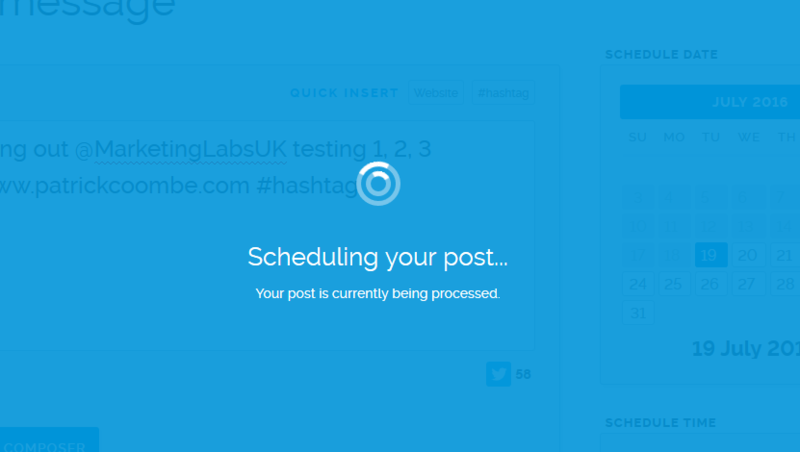 I’ve been shopping around lately for a new social media scheduling tool for my “personal brand” (man, I swore I’d never say that) and came across Marketing Labs. The fine people of Marketing Labs were kind enough to give me a free trial, so over the course of the last week I’ve been giving it a shot. Here is a link to their social media scheduling tool on their website. 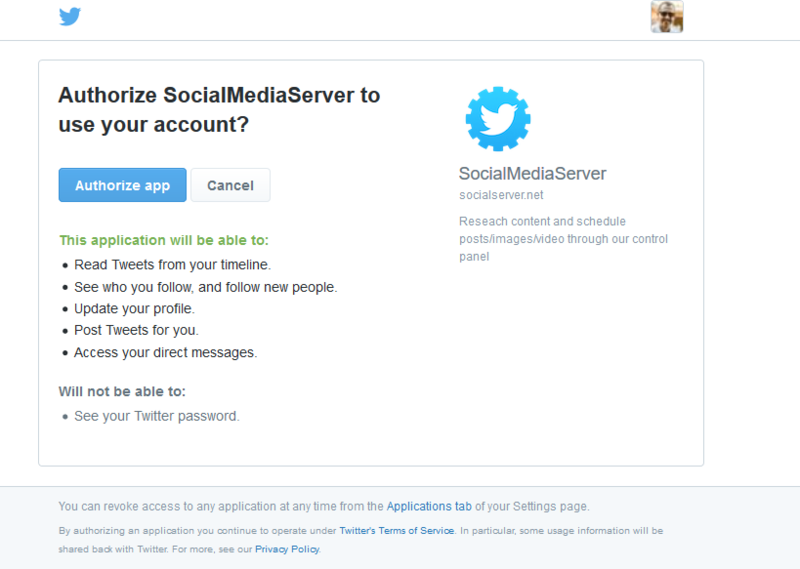 For me, my biggest “need” is I don’t want my account to be completely automated. On the other hand, I do come across a ton of articles / pieces of content that I want to share with my following, and don’t want to share it all at once. With that, I think it is OK to use a social media scheduling tool for this purpose. Once authorized, it asked me to complete a profile. This is really important because there are many “shortcuts” throughout the app that you can use later on. The dashboard is clean, friendly and intuitive. From here, I was met with the scheduler. Pretty easy, either tweet directly from here or you can schedule in both. I tried both of these out. Just a brief e.g. of a quick scheduled message. 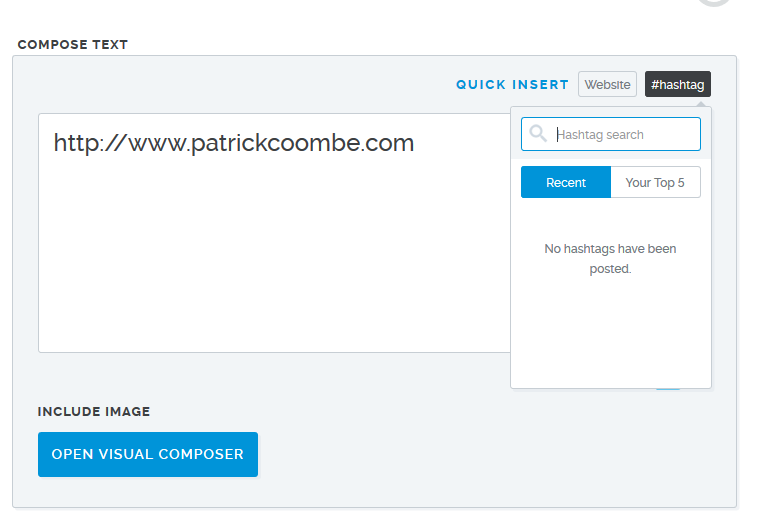 As you can see you can quickly insert your website (pre-defind in the profile) or hashtag search, which I thought was a really, really cool feature. 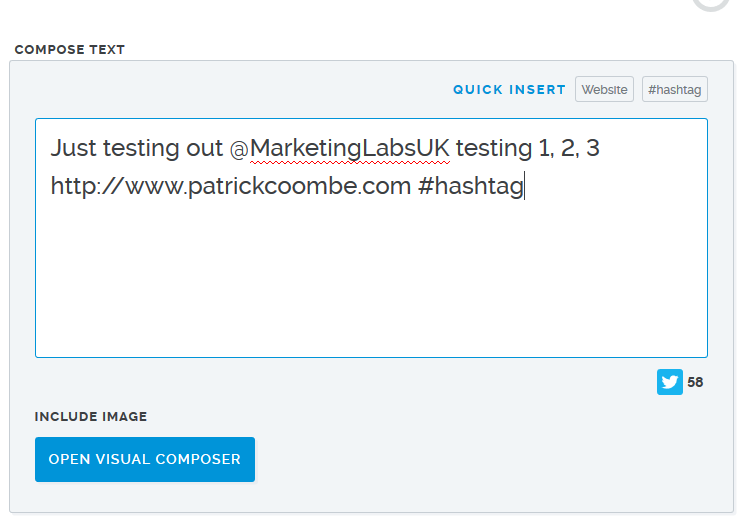 Hashtags, URL’s and @ tagging works just fine. Here is a little glimpse of the scheduling feature. One feature I really liked was the time slider. It makes it much easier not having to pick an exact time. Most of the time it doesn’t matter exactly what time your post goes out, as long as it is within a few minutes. 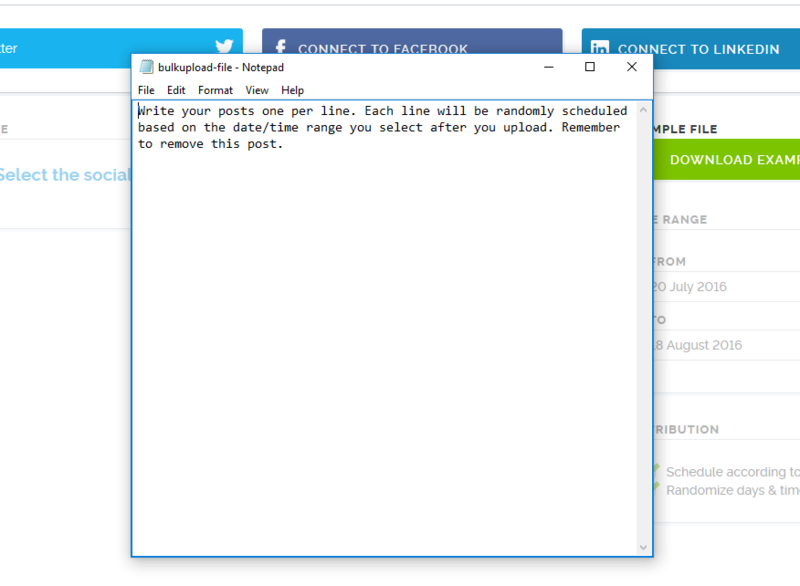 Now for the bulk upload feature. I’ve been bulk uploading one thing or another for decades, and this is by far the simplest system I’ve ever encountered. One tweet per line, that is it. Save, close, upload, bing bang boom. It’ll even check for errors when you upload. The posts did need to be processed on the backend, which only took a moment or so. You can do other tasks on the backend while you wait. Here is a shot of the settings panel, very simple and easy. 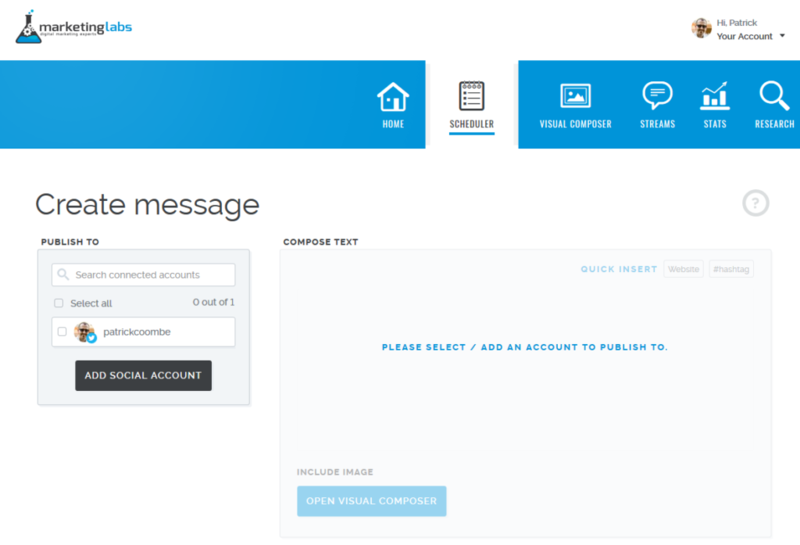 Ok now down to the fun part, the visual composer. I did think the name was a tad confusing coming from a WordPress backend perspective, but the term fits. 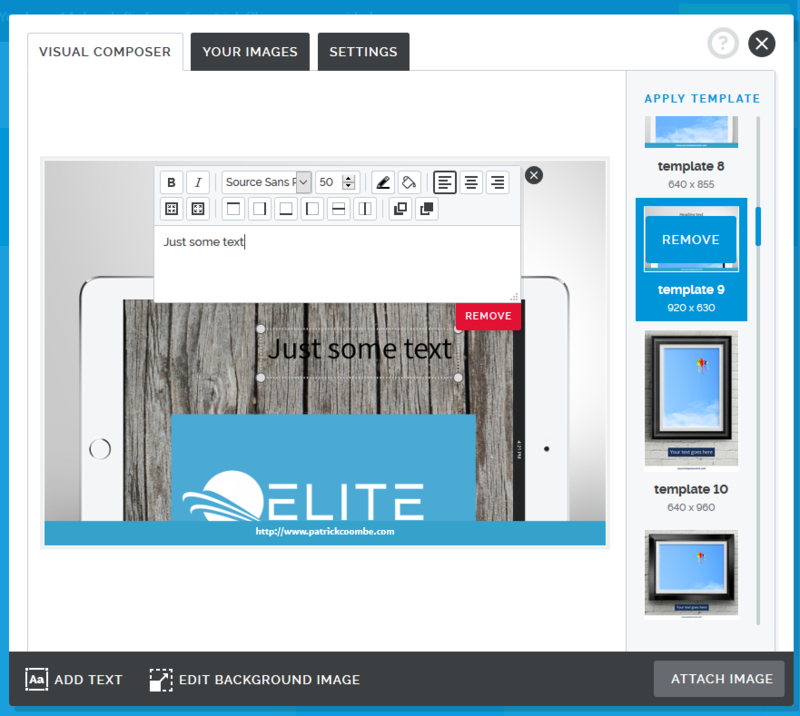 This is a really cool tool, especially for people that do not have Photoshop experience. You can easily take any image and turn it into a professional looking piece of media in just a few seconds. If you can use any software you can use this. They have a ton of pre-defined templates that you can use, or you can make your own. 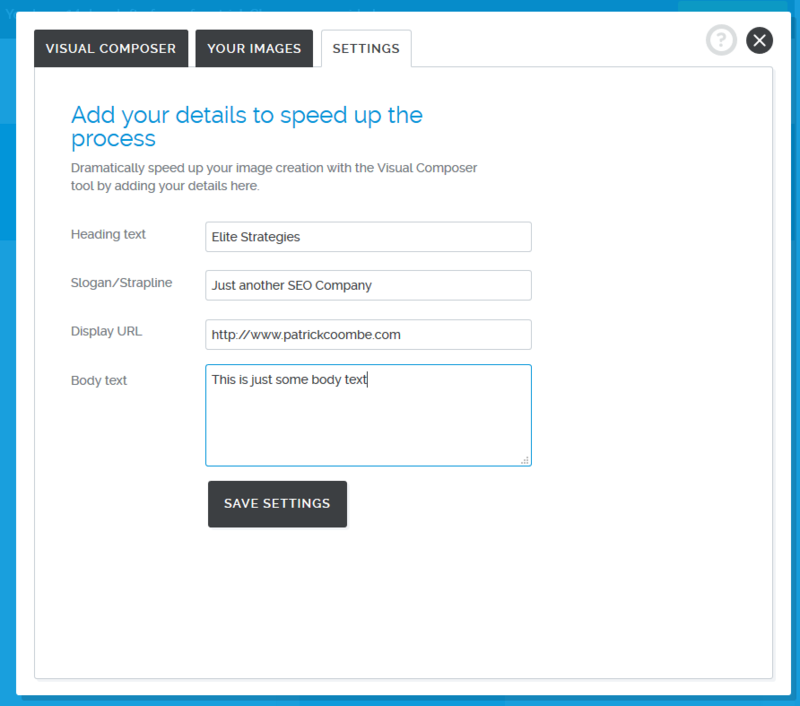 Here is another shot of the visual composer. Here I added one of my company logos, and some basic text. The “Streams” panel is really cool. From here you can get a birds eye view of what is going on in your account. 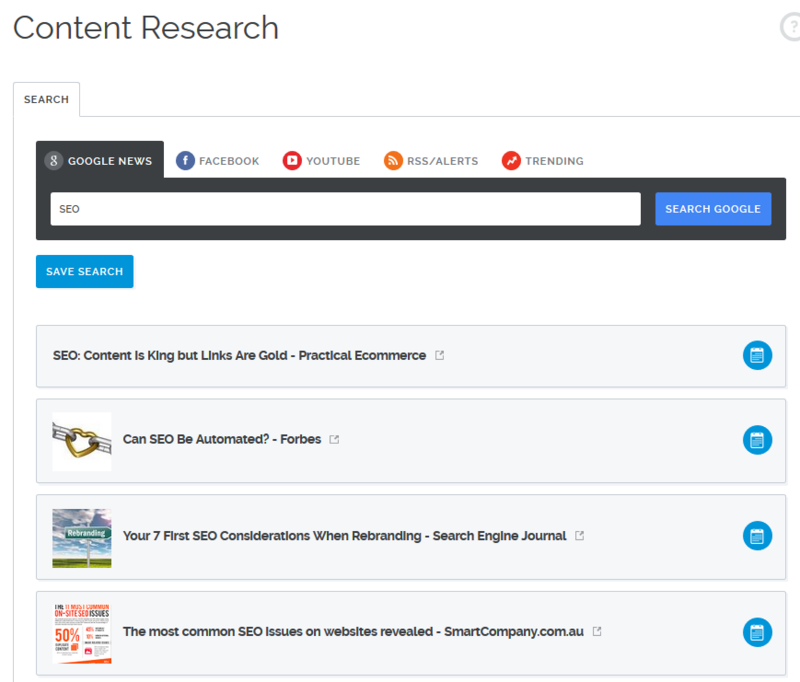 Lastly I’d like to go over one of the best features of all, the content research tool. 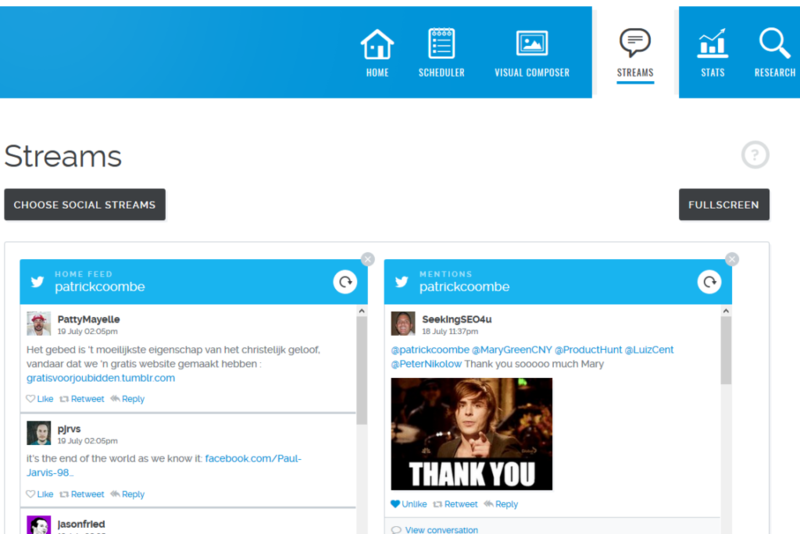 Again, this can be another HUGE time saver for people looking to post relevant content. Just search, identify, schedule and you are done. I’ve never seen such a feature in any tool, this I really felt was a really cool tool. 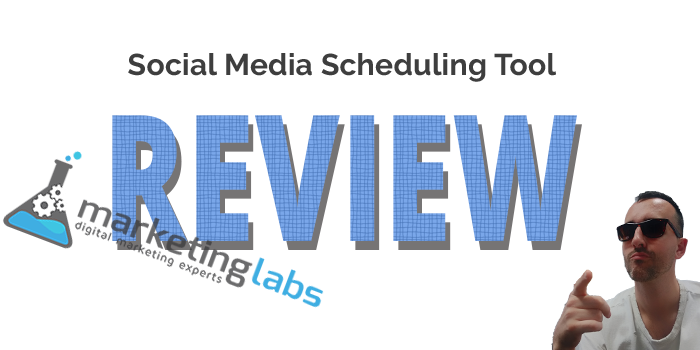 Keep in mind I skipped over several key features in this review. I didn’t go in-depth on a few sections and I skipped over the stats portion. I also only used Twitter, even though you can also connect Facebook, LinkedIn and Pinterest. I do plan on adding those later this week. Overall I rate this tool very high. I won’t deny it, they have a lot of competition but in my opinion this tool is in a class of its own. 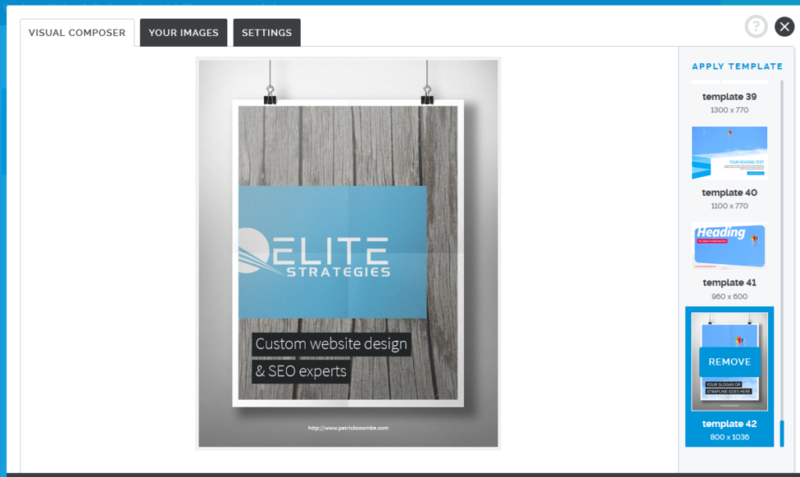 The Visual Composer tool really sets this tool apart from the competition in the fact that it almost completely eliminates one major step: image creation / editing. Speaking as an agency owner, this is a huge task that eats up a ton of time. 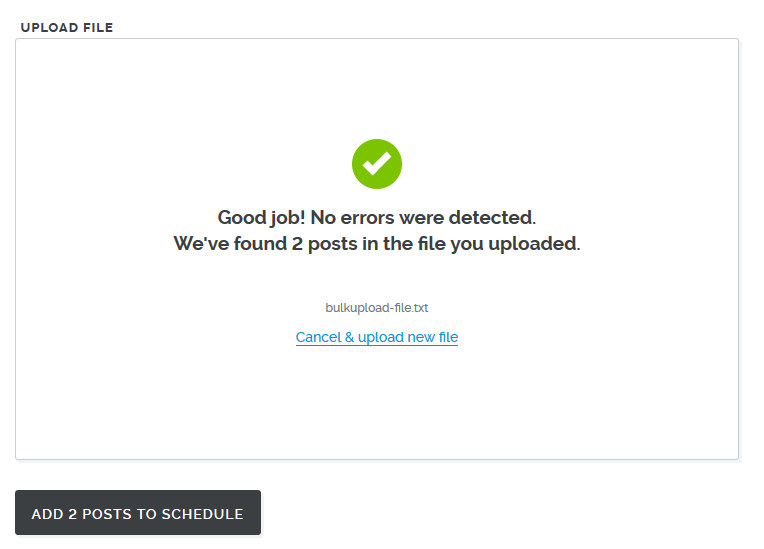 Scheduling just one post can take up to 10-20 minutes sometimes (even more with advanced images) but with this tool it can considerably cut down on the time it takes. 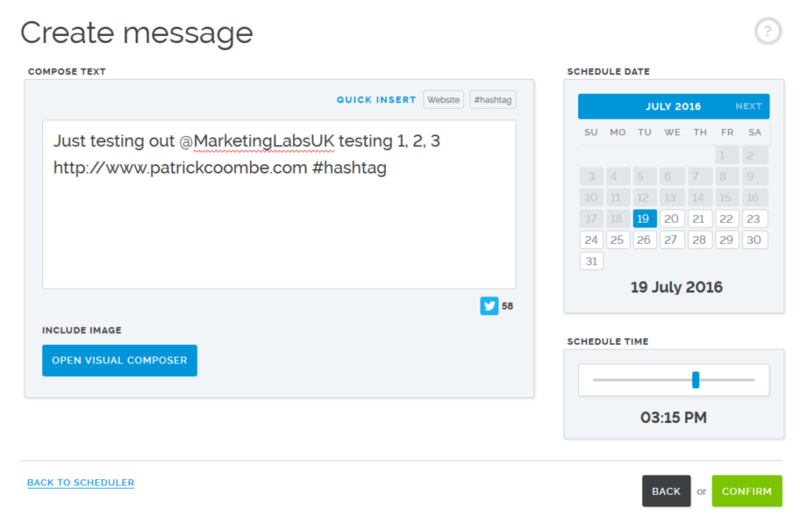 Add into that the content research feature and you could be looking at some huge time savings if you are an agency. 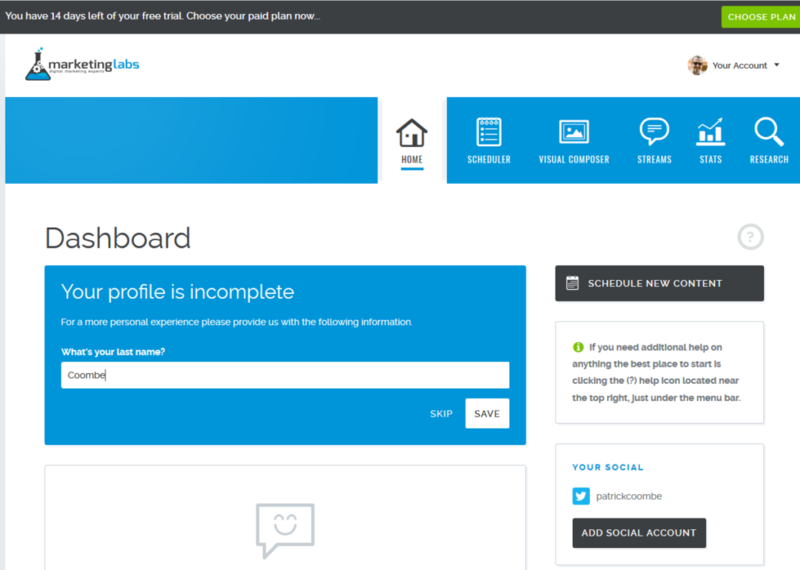 I would say this tool is geared towards beginners-intermediate (agency and solo) social media marketers and sole proprietors, although this is definitely a tool that an expert could use. If you like what I had to say, check em out!